The day we entered into Bolivia was a long one. Up at 5.45am, we were collected by a cab at 6.30am after rapidly inhaling some breakfast. 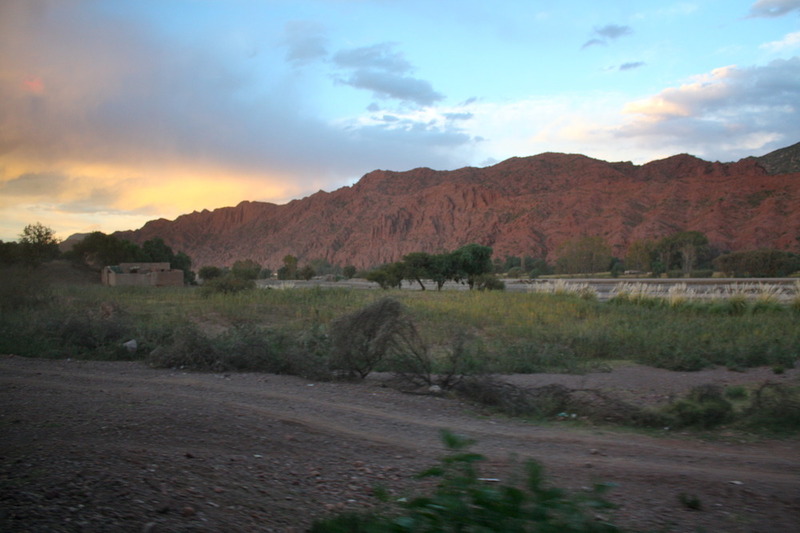 Our bus from Salta to La Quiaca left at 7am, and after countless stops in small towns and villages, we arrived at the Argentinean border city at 2.30pm. This is where it got a little confusing, and perhaps the altitude was getting to me by this stage. We actually left Argentina without realising (and thus, without getting an exit stamp) so we had to go back to the Argentinean side to get our stamps before entering Bolivia. 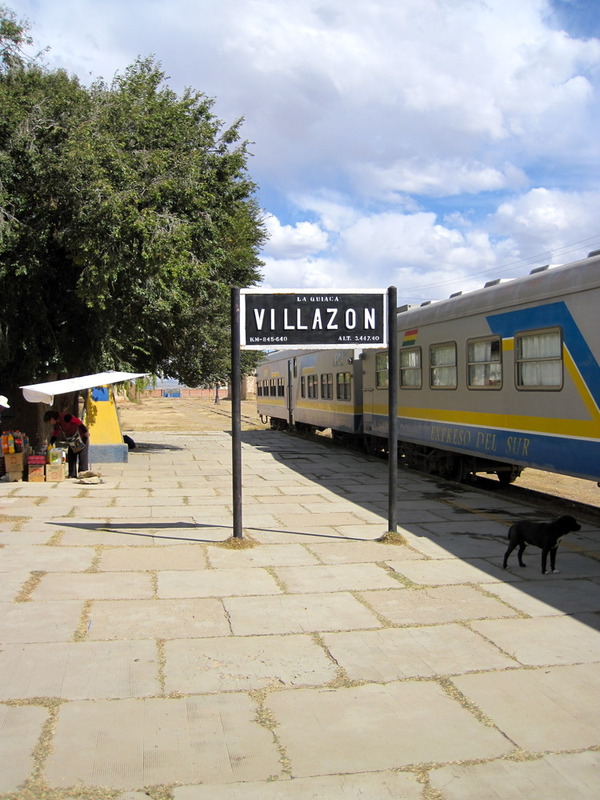 The Bolivian border city is called Villazón and here we filled out our forms in a little room inhabited by more flies than people, then changed some cash over, put our clocks back one hour and caught a cab to the train station. The magic that is the World Wide Web had advised us that at least in southern Bolivia, the train is preferable to the bus so we bought our tickets in first class to Tupiza, put our bags in the hold and hopped on a carriage that was filled solely with foreigners, including two Australians that had been at our hostel in Bariloche. 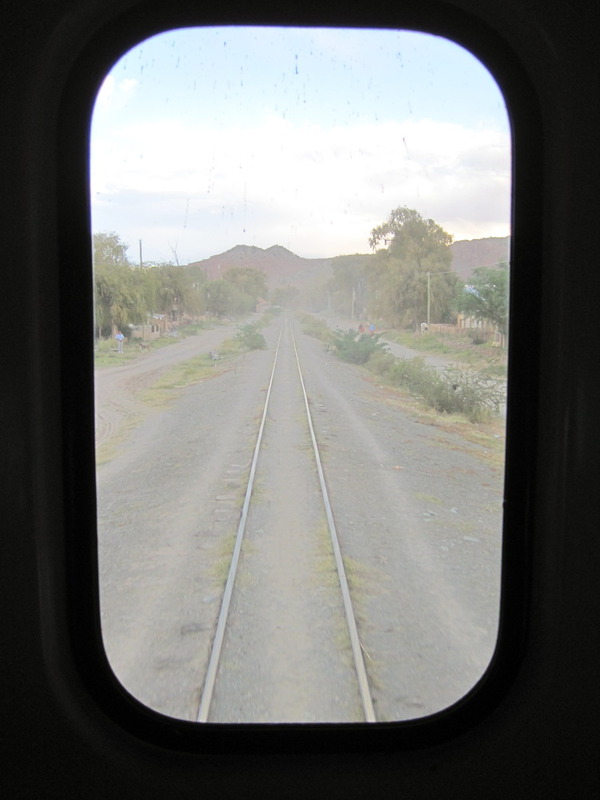 The 2 hours and 45 minutes on the train only cost us 51 Bolivianos each which is roughly $10, and included a sandwich, a bottle of Fanta, a long-drop onto the train tracks, The Perfect Storm on the TV and the first glimpses of spectacular Bolivian landscapes. By the time we arrived in Tupiza the dull ache in my head and my tired, droopy eyes were enough to be putting me in a little bit of a grumpy mood, but after a solid 8-hour sleep the only remnant of altitude sickness was breathlessness from walking around*. At 3,650 metres above sea level the air is thin.